In Hong Kong, the government has worked for years and implemented numerous policy measures and rigorous emission control measures to improve ambient and roadside air quality. As a consequence, substantial declines in the emissions of nitrogen oxides (NOx, sum of Nitric Oxide and Nitrogen Dioxide) and respirable suspended particles (RSP) have been recorded in the past decade. Exposure to particulate matter (PM) and nitrogen dioxide (NO2) has been linked with adverse health effects including aggravation of respiratory diseases and reduction in lung function. The general ambient air quality monitoring stations have also complied with current Air Quality Objectives (AQO) for NO2 and RSP in recent years. However, non-compliance has been consistently recorded at the roadside stations. The projected roadside pollutants levels will face great challenge to comply with the more stringent standards. The ability to meet these objectives thus clearly depends on the inﬂuence of emission controls on future pollutant levels. To tackle the problem, there is a great need to develop a better understanding of the primary sources of PM and NO2 from on-road vehicles and their impact on roadside and ambient air quality in order to further introduce effective measures targeting the relevant air pollution sources. Greater incentives are now being offered by the government as part of a revised HK$11.7 billion package designed to force 85,000 polluting diesel commercial vehicles off the road by 2020. Particulate matter and gaseous primary emissions from vehicles along with corresponding traffic volume and composition are proposed to be measured in particular tunnels in the Hong Kong region (Second Lion Rock, Tai Lam, Cross Harbour and Aberdeen). These experiments are being conducted during weekdays and weekends at hourly consistent times during March and April using a mobile platform designed for a previous On-road Plume Chasing Analysis System (OPCAS). The tunnel and background pollutant measurement in the form of emission factors and traffic volume and composition as percentages are compared and found to be dependant on time of day, day of the week, length of tunnel, ventilation, wind speed, vehicle speed and altitude. Vehicular volume and composition are determined by manual counts at one entrance/exit of the tunnel tube at hourly intervals during sampling periods to test reproducibility as well as the differences between weekday and weekend observations. 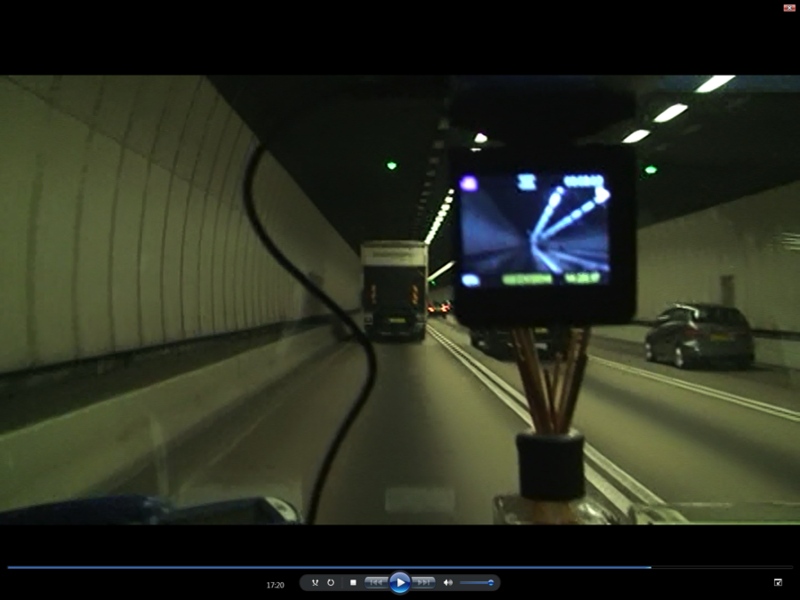 A video camera is also synchronised with the same time stamp to ensure the accurate interpretation of the data stream. Traffic analysis is divided into three categories, petroleum, LPG (liquefied petroleum gas) and diesel vehicles. The particles detected consist of Black Carbon (BC), Polyaromatic hydrocarbons (PAH), Condensation Particle Counter (CPC), PM 2.5 and the gaseous copollutants probed are CO, CO2, NOx and O3. In this way, a link is formed between real-time traffic counting with on-road measurements. A special focus is on the diesel fleet which includes franchised buses and heavy duty vehicles (HDV). The success of the project will yield benchmark results and provide important insights into the primary emissions impact on ambient air quality in Hong Kong tunnels. The information will be of great importance for the implementation of more targeted and cost-effective emission control and air quality management strategies targeting the relevant air pollution sources to improve the air quality in Hong Kong and to help meet the new proposed Air Quality Objectives.